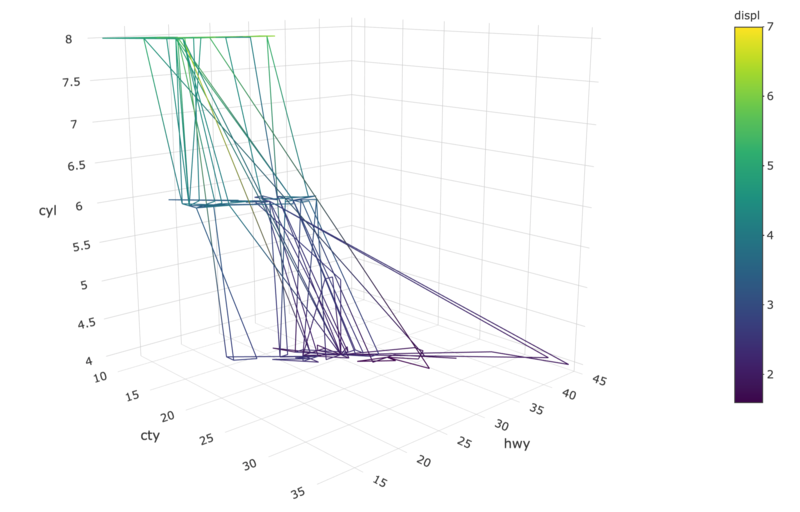 FIGURE 8.1: A 3D scatterplot. To make a path in 3D, use add_paths() in the same way you would for a 2D path, but add a third variable z, as Figure 8.2 does. 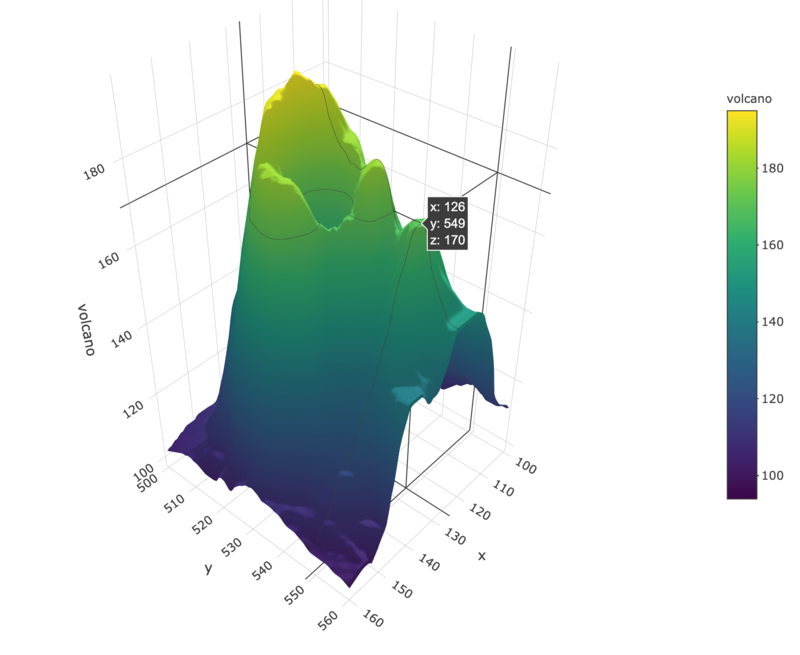 FIGURE 8.2: A path with color interpolation in 3D. 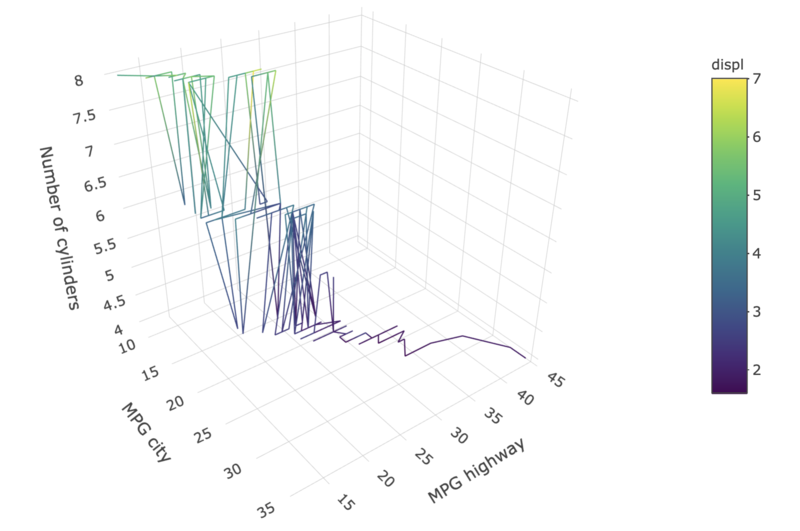 Figure 8.3 uses add_lines() instead of add_paths() to ensure the points are connected by the x axis instead of the row ordering. FIGURE 8.3: A line with color interpolation in 3D. As with non-3D lines, you can make multiple lines by specifying a grouping variable. FIGURE 8.4: Using group_by() to create multiple 3D lines. 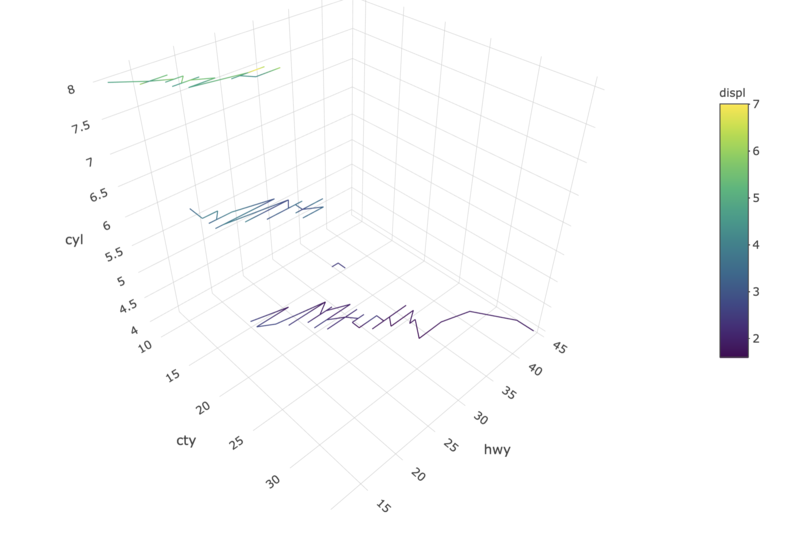 For 3D plots, be aware that the axis objects are a part of the scene definition, which is part of the layout(). That is, if you wanted to set axis titles (e.g., Figure 8.5), or something else specific to the axis definition, the relation between axes (i.e., aspectratio), or the default setting of the camera (i.e., camera); you would do so via the scence. 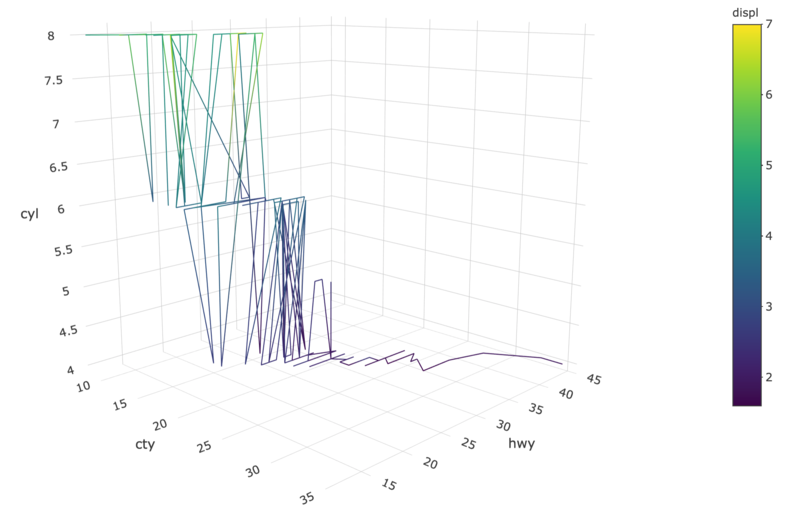 FIGURE 8.5: Setting axis titles on a 3D plot. Creating 3D surfaces with add_surface() is a lot like creating heatmaps with add_heatmap(). In fact, you can even create 3D surfaces over categorical x/y (try changing add_heatmap() to add_surface() in Figure 7.3)! That being said, there should be a sensible ordering to the x/y axes in a surface plot since plotly.js interpolates z values. Usually the 3D surface is over a continuous region, as is done in Figure 8.6 to display the height of a volcano. If a numeric matrix is provided to z as in Figure 8.6, the x and y attributes do not have to be provided, but if they are, the length of x should match the number of columns in the matrix and y should match the number of rows. FIGURE 8.6: A 3D surface of volcano height.